Frustrated with traditional child safety accessories that detracted from décor, passionate mom Vianka Perez Belyea and business savvy partner Tavinder Phull, have introduced a line of sustainable products that look great and keep kids safe in your home. 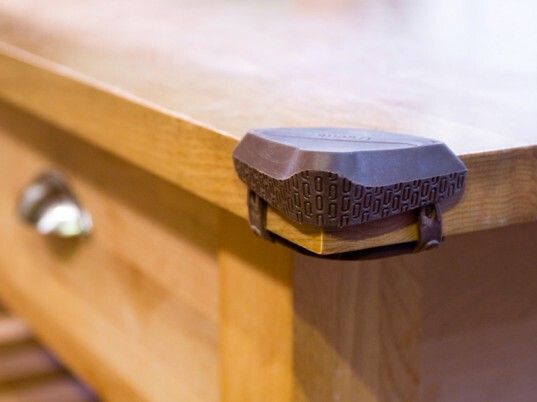 The Rhoost line of products includes outlet covers, cabinet restraints, and bumpers that guard against pinched fingers, sharp table edges, and keep wandering toddlers safe. All of the 100% recyclable products are free from BPA, lead, and phthalates. We love that Rhoost regards their safety products as something that will blend in with your décor. When Vianka’s daughter Soledad turned 6 months old, she realized that she only had options to buy products that would be cumbersome to install, unsightly, and would damage furniture. Rather than put Soledad’s safety at risk (or succumb to the ugly child safety options on the market), the idea for Rhoost was born. Available in deep plum and other colors, they far surpass the visual appeal of the white plastic norm for safety products. We spoke with Rhoost at the recently held International Housewares Show in Chicago and were able to preview prototypes for new products to be released this summer. Included in the additions was a cleverly designed wedge that keeps doors from pinching tiny fingers. Look for it on the Rhoost online shop soon! Frustrated with traditional child safety accessories that detracted from d�cor, passionate mom Vianka Perez Belyea and business savvy partner Tavinder Phull, have introduced a line of sustainable products that look great and keep kids safe in your home. 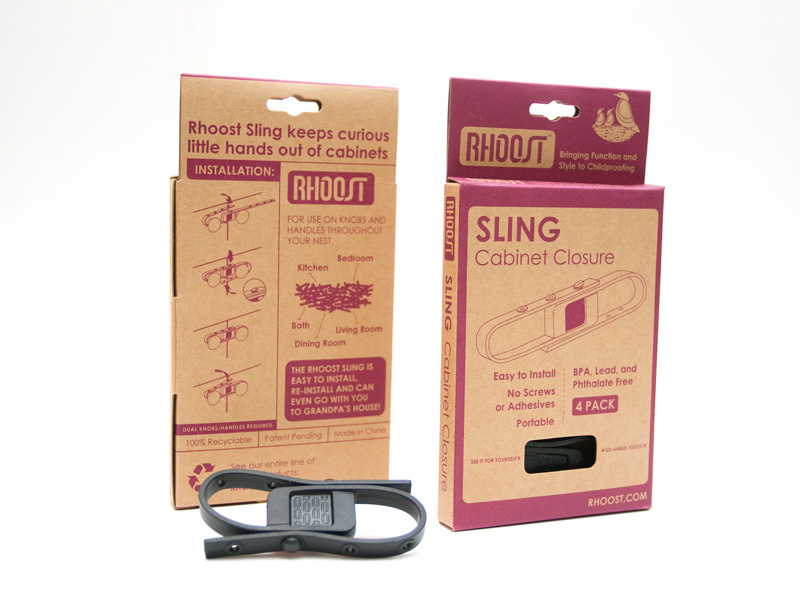 The Rhoost line of products includes outlet covers, cabinet restraints, and bumpers that guard against pinched fingers, sharp table edges, and keep wandering toddlers safe. All of the 100% recyclable products are free from BPA, lead, and phthalates.